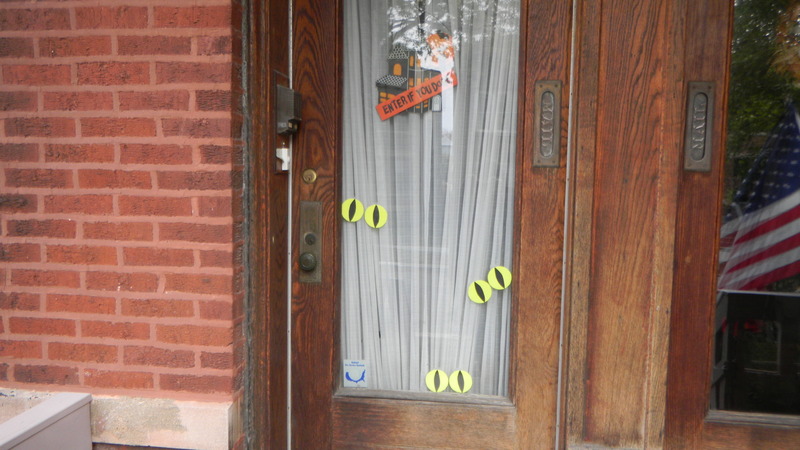 Last year, I showed you a bunch of my Halloween decorations. Some are the same, like the lighted house and tree, but I changed up some elements this year. Including the front door. Well, maybe not the sign. I got it at Kohl’s because I thought it was really cute. The creepy part is the eyes. Would you want to enter with those scary, disembodied eyes staring at you? Luckily, making these evil eyes isn’t half as hard as mustering the courage to go past them. I started by using a regular glass to trace circles on neon paper I had on hand. I used lime green, but I think these would look great in purple or orange too. 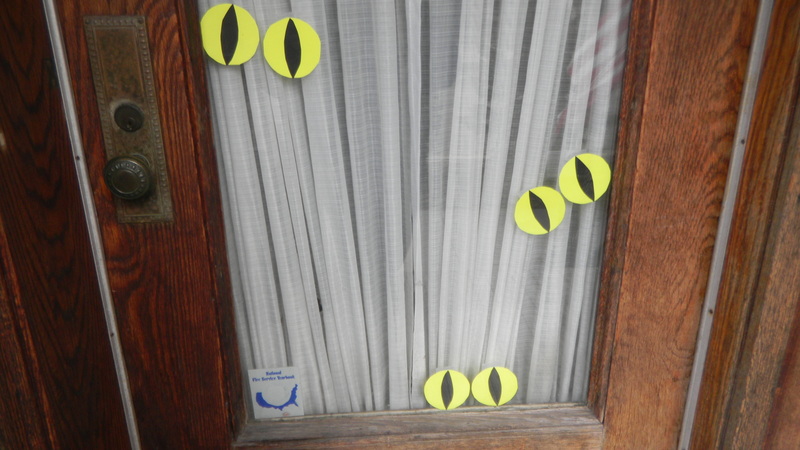 Cut out the circles (I made 6 circles for 3 pairs of eyes). Next, you just have to freehand the pupils of the eyes. I took a pencil and lightly drew an outline of where I wanted the black part to be. Once I settled on how I wanted it to look, I put a black piece of paper under the circle and pressed down hard on the pupil lines. That left an small indent on the black paper so I knew where to cut. Using the first cut out pupil as the template, I traced 5 more and cut them out. Finally, I glued the pupils in place. Wait a little while for the glue to dry, then tape the eyes to the door. 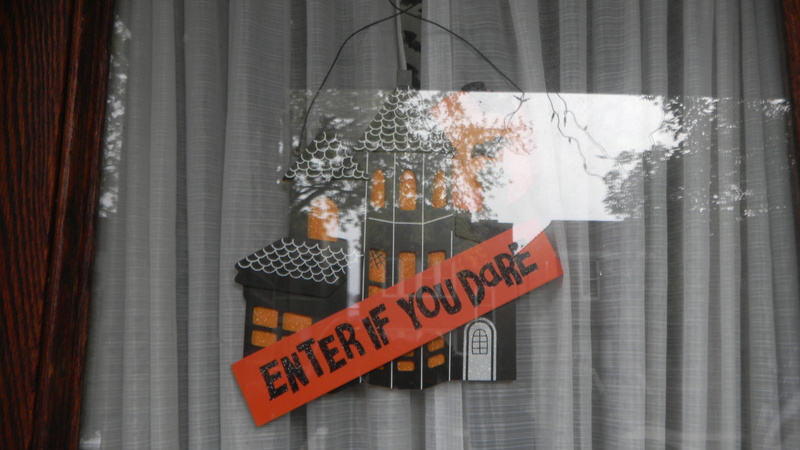 Check back tomorrow to see the spooky way I decorated my front stairway.